As a new parent, you may find that you don’t always have time to enjoy time together as a family. So, when the holiday season comes around, you need to make the most of it! But which places are best for babies and toddlers? With the help of Babythingz — a leading UK supplier of cute cosytoes for prams and buggies — I have found some of the top child-friendly holiday destinations for you to choose from, as well as a selection of tips and hacks for travelling with your little humans. You can reach Portugal’s popular Algarve region in around two-and-a-half to three hours by plane. So, if you think your little one can handle the journey, treat yourself to a holiday abroad! As such a popular holiday destination for Brits, the Algarve region has plenty of child-friendly resorts, hotels and activities that will suit kids from newborn to toddler. There are lots of waterparks around the area featuring sections for babies, although we recommend choosing some of the calmer towns that may better suit your young family — such as Praia de Luz, Cascais and Alvor. 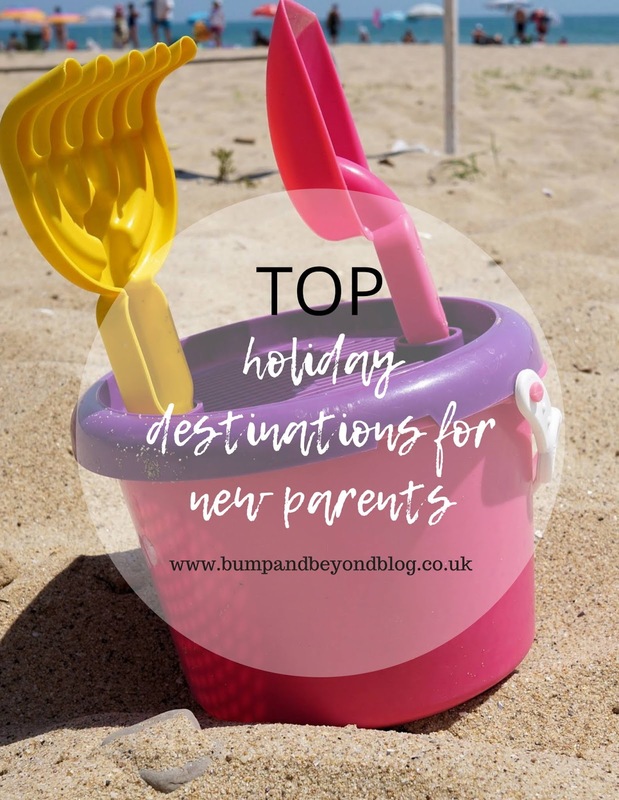 The safest bet when it comes to child-friendly destinations is to stay within the UK to cut down your travelling times — beneficial if your little one is fussy or easily aggravated. So, how about Cornwall? The Cornish coast in south-west England has a pleasantly warm climate and is one of the country’s most beautiful, peaceful and exciting spots. Here, you’ll have a choice of relatively-secluded cottages to book, which is ideal for young families that have crying babies or playful and loud toddlers! Try to go for accommodation that offers you and your family space but is still within walking distance to activities to keep children entertained — like the beach. In Cornwall, you can visit Newquay Zoo and the Minack Theatre, which is based in Porthcurno and features comedy puppet shows for kids. Who doesn’t love Disney? Although this destination may be best suited to kids around three years old and over, all children will enjoy the colours, lights and characters of Disneyland Paris. Plus, you have a collection of great, family-friendly Disney hotels to stay in, which will make travelling to and from the park much less stressful! I took Darcy for her 3rd birthday, and we stayed at the Sequioa Lodge which was lovely and opted for half board. Like the Algarve, the capital city of France is only a short air journey away from the UK, which makes it a great holiday choice if you’re travelling with babies or excitable toddlers. At Disneyland Paris, you have a wide selection of shows, rides and attractions designed to captivate and entertain babies, toddlers and adults. Wander through Wonderland at Alice’s Curious Labyrinth, go up in the air on Dumbo the Flying Elephant, enjoy the bouncing Slinky Dog Zigzag Spin ride, or book to meet Mickey Mouse himself! Similar to Cornwall, the Scottish coast is a stunning place to enjoy a holiday — although, it may offer a slightly cooler climate than Cornwall! Visit here, and you’ll have your choice of child-friendly hotels and quiet chalets to choose from. If you have an infant as well as older kids, the Scottish west coast is perfect. You don’t have to head abroad for beautiful beaches — the Scottish west coast is peppered with gorgeous coastlines. Head to Sanna Bay, which features white sand and turquoise water, or take a family cycling trip to take in the incredible landscape of Glencoe. Trust your toddler on a long flight? Then try Tenerife. After a four to five-hour flight, you’ll land on one of the most popular islands in the Canaries and a place where there’s no time difference — no need to spend time and effort getting your little one adjusted to a normal sleeping pattern! Many hotels offer on-site childcare should you and your partner want to head out alone at some point, or you can all take a scenic walk up Mount Teide or give a few organised water sports a go. Tenerife has a fantastic climate for children as well — not too hot, little rain and practically no humidity, which will make sleeping easier. Give yourself plenty of time: if you’re late, you’ll stress yourself out and a fussy child will only add to the anxiety. So, start your holiday on a positive note by setting off early. Have plenty of toys on hand: from the car ride to the airport to the plane journey itself, make sure you pack your child’s essentials — toys and games. Preferably, opt for quiet games that are best suited for public transport. Think luggage: packing all the essentials for a baby or toddler can add a lot of extra weight to your luggage, so cut down where you can by opting for a lightweight buggy and travel-sized toys and sanitary products. Check your booking: make sure you verify that the hotel is child-friendly with plenty of amenities for kids. Comforts: don’t forget the little things that soothe your baby, like their favourite soft toy, blanket or even type of food. They may just help calm them down during long car rides. Be careful with baby food and milk: you can carry baby milk and baby food through airport security in containers over 100ml, so make sure you prepare this before setting off. Check in online: minimise the airport hassle by checking in over your laptop or phone prior to your day of travel. Discuss the journey: if this is the first time your child is taking a long-distance journey, make the event seem positive and exciting by chatting them through what will happen — this may make them less apprehensive, especially if you’re flying.